MUGI was started as a working studio and gallery space in Manhattan in 1983 by three adventurous potters looking to establish a venue to sell their work and make pottery classes available to the population of Upper West Side. Right from the beginning, they had great local support, and MUGI continues to be a thriving part of the Upper West Side community. The studio was laid out to accommodate pottery classes for adults and children, as well as individual instruction. The gallery space was designed to show and sell functional and one-of-a-kind pottery that could represent the highest possible standards and still be affordable. As they found fitting in the theme of the studio they also invited artists of other mediums, painters, sculptors, photographers and jewelry makers to show their work. 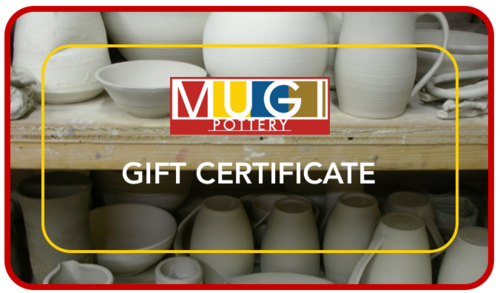 Over the years, MUGI has become a destination for many people who keep returning to find wedding presents, house warming gifts and pottery for their homes from all over the country and sometimes from all over the world. In 2012, Outi Putkonen, then a part owner of MUGI, took over the studio after the final of the founding members, Margot Harwood, retired. Outi has made small operational alterations such as increasing the practice time available to students, and organizing field trips to potters' studios along the east coast. Improvements have also been made in the studio, including painting it inside and out and installing new environmentally friendly lighting in the gallery. MUGI that has survived many changes and turmoil that New York City has endured in over the twenty-plus years it has existed. As a potter, I am not interested in production pottery. I much prefer exploring the process in a less result oriented context. Becoming a potter to me meant embarking on a journey, destination unknown and not important. On this journey, I must remain open minded, observant and humble in order to explore the possibilities and ideas that present themselves through our environment and nature. I need to be intuitive and respectful of my heritage, experience and sense of aesthetics instilled by my surroundings, upbringing and education. Pottery making is a very technical craft, through diligent practice, repetition and perseverance I have begun to grasp the layers of skill and understanding required to make a proper pot. In the potter’s craft, I need to be humble to accept the challenges and embrace them as a learning opportunity rather that an obstacle and discouragement. As a potter I am forced to focus in present time, I can’t think about yesterday or plan my tomorrow while working. The process requires a quiet and a calm mind, hands and eyes working together in order to execute an abstract idea into a tangible object. Functional: a good pot must have a function. Whether a domestic coffee mug or an intricately pierced lantern, the pot must have a purpose based on the principles of functional design. Feminine: I am a female. My pots should reflect my femininity by being sensuous but strong, graceful and progressive like a modern, forward thinking woman. Delicate: Clay as a material is delicate. Until it is out of the kiln finally hardened by the heat it must be handled with care and skill. I hope to project some of that fragility in the finished pot. Tactile: I love to feel the texture of clay, the smoothness of porcelain and the roughness of stoneware. I enjoy the way light reflects on the patterns whether they are the result of intentional design or marks of the makers hand. It gives the surface a rhythm that is unique to every potter. Courageous: I need to take chances with my pots, stretching the clay to its limit yet observing and respecting the boundaries. I want the pots to challenge me to improve my technique and style and encourage me to keep going further.